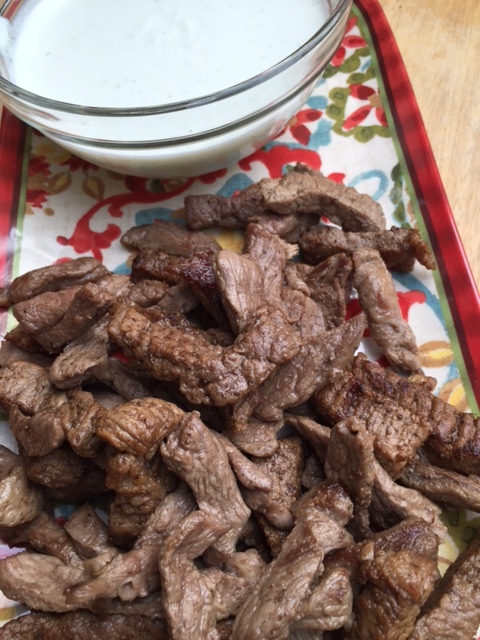 Tzatziki sauce is a Greek sauce served with grilled meats or as a dip. Tzatziki is made of strained yogurt, usually from sheep or goat milk, and is mixed with cucumbers, garlic, salt, olive oil, sometimes lemon juice, and dill, mint, or parsley. The culinary cuisine of Bulgarian, Macedonian, and Serbian use this sauce as a cold soup by just adding water to thin it out. 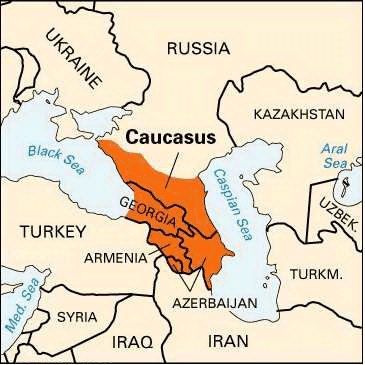 The people who live in the Caucasus Mountains, between the Black sea and Caspian sea, use kefir instead of yogurt to make Tzatziki. Doing so makes the sauce a drink that is poured over a mixture of vegetables, eggs and ham to create a variation of okroshka, a Russian cold soup by origin. 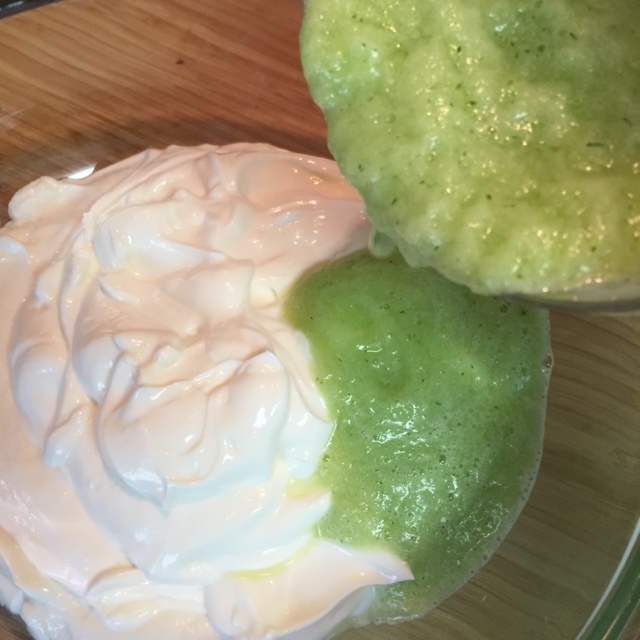 This cool and creamy Greek Cucumber Yogurt Sauce or Tzatziki sauce is used in preparation of Greek Gyro Sandwiches. You will need whole grain flat bread, the soft and thin kind ready for wrapping up your Gyro. Depending on the amount of servings you want you will need both Lamb and Beef sirloin strips, about 1/2 pound of each. BBQ the meat is the best way to prepare it. 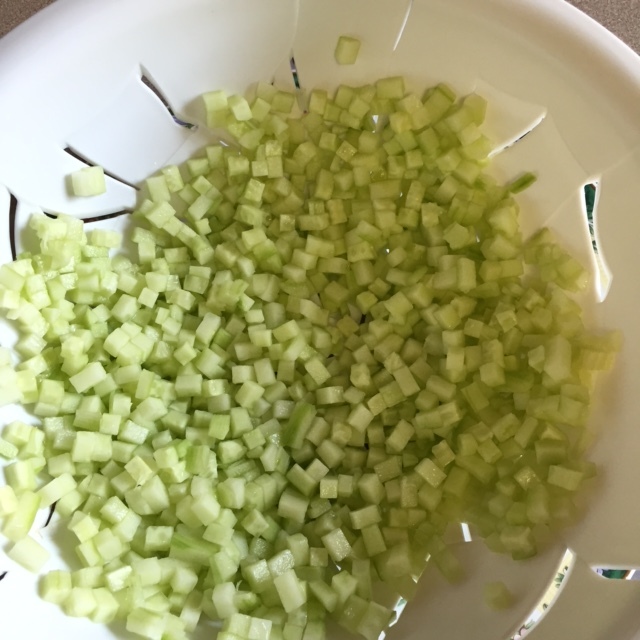 Place diced cucumber in a colander and spread out evenly and sprinkle salt over it. Place colander over a large plate or bowl and top the colander and set aside for 30 minutes. The salt will drain the water from the diced cucumber. Leaving the moisture in the cucumber will make for a runny sauce. Place all ingredients but the yogurt into a blender or food processor – processes or blend about 30 seconds to 1 minute. Add mixture to the yogurt and mix in until well combined. Cover bowl and let sit for 2 to 3 hours in refrigerator, which will allow flavors to blend and infuse. It is optional to add more salt, but doing so after you have prepared the sauce. This sauce can also be used as a dressing for a Greek salad or any salad of choice that goes well with cucumber. 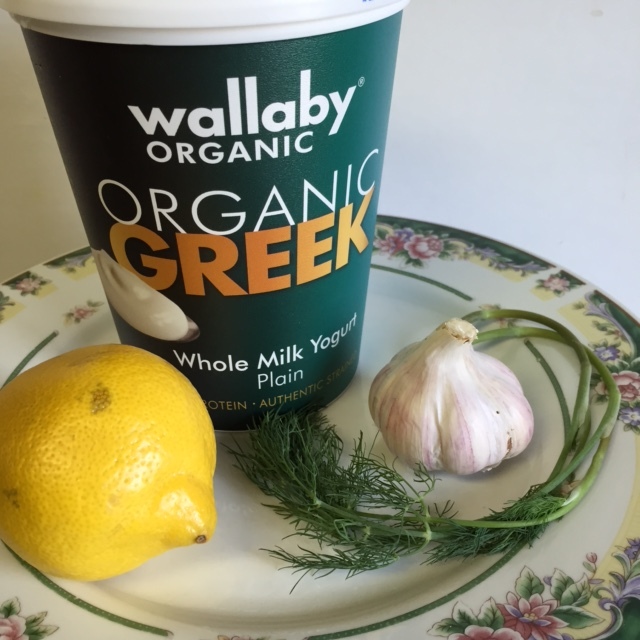 Recipe of the Week: Tzatziki Dip, by A.S. 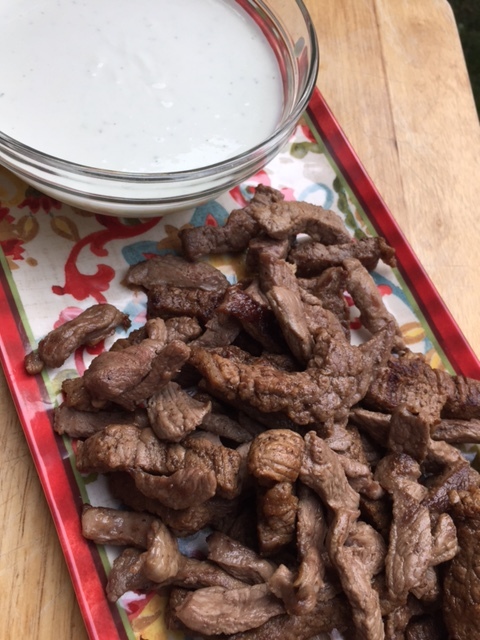 This entry was posted in Beef, Dressings, Marinades, Salsas and Sauces, Lamb, Main Dish and tagged Black Sea, Caspian Sea, Caucasus, cold cucumber soup, Cucumber sauce, Dill, easy recipes, English cucumber, flat bread, fresh dill, Garlic, goats milk, Greek salad, Greek yogurt, Gyros, Himalayan salt, minced garlic, pepper corns, sheep's milk, Strained yogurt, Tzatziki, Tzatziki sauce. Bookmark the permalink. 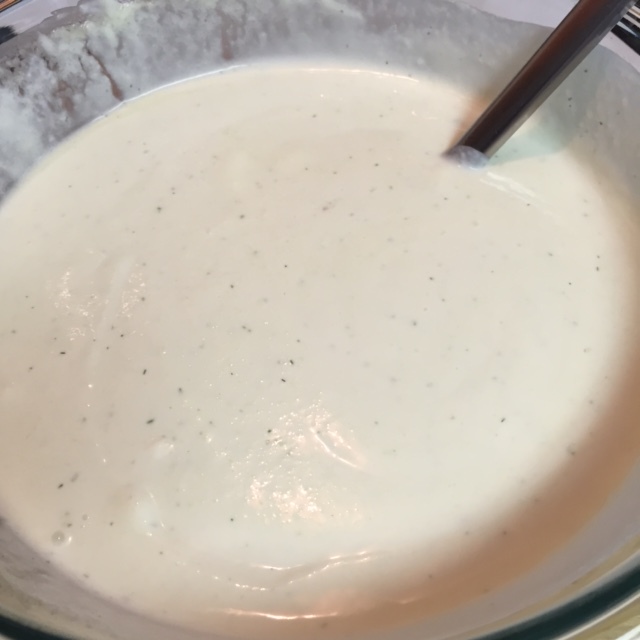 Wouldn’t be a gyro without great tasting yogurt sauce. Your recipe looks delicious and just right for this dish.